For jobs that require extra hands, the most important hauling involves not just cargo, but also the crew. The Hauler 4×4 Crew was built to carry the team, but four-passenger seating is just the start. 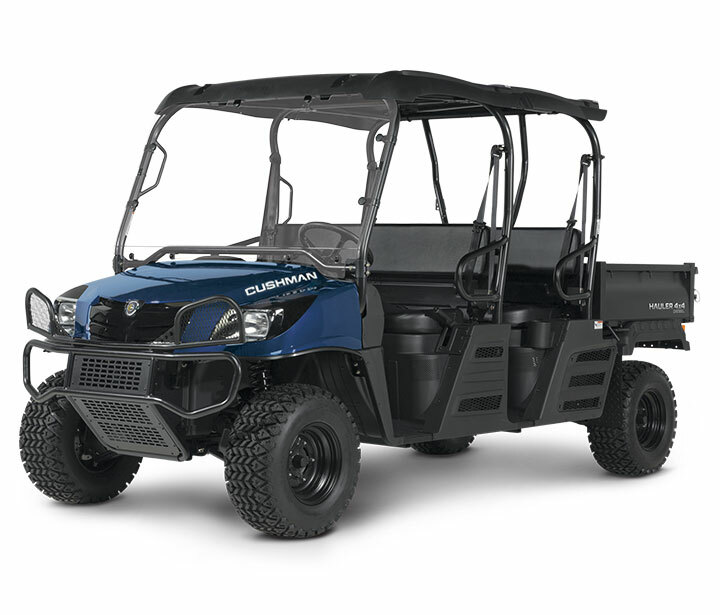 A 22-hp diesel engine, 1,325-lb total load capacity, user-selectable 4WD and four-wheel independent suspension give this vehicle the ability to effectively haul big loads around just about any jobsite.